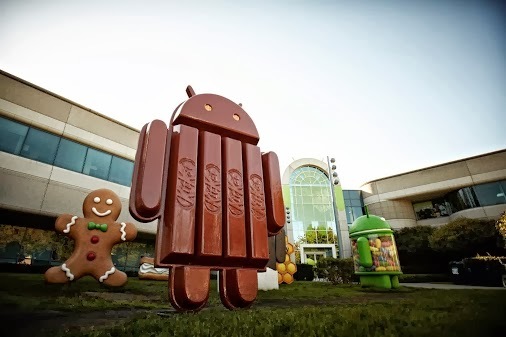 Android 4.4 KitKat Will Help Rid the World of Android Fragmentation! ~ Android Forever! Android 4.4 KitKat Will Help Rid the World of Android Fragmentation! The latest version of Android is designed to work on both low- and high-end phones, which will hopefully end OS fragmentation. Google is trying to bring a little sanity to the world of Android. One primary benefit of Android 4.4 KitKat, which was unveiled Thursday, is its ability to run on both low- and high-end hardware. The idea is that manufacturers don't have to choose between different versions of Android to suit the specifications of their phone, whether it costs $100 or $600. The move is an attempt by Google to provide a more consistent experience across the universe of Android smartphones. While flagship smartphones such as the Galaxy S4 or HTC One have been able to employ newer versions of Android, more affordable phones running on 1- or 2-year-old processors must make do with an older iteration of the operating system.